We reported earlier about the issue where users of the Galaxy Nexus in the UK were facing the SAV-Ghost or Self Aware Volume Ghost issue in which the volume of the device automatically went down. Now, according to SlashGear, Google has admitted to the volume bug that was found in the newly launched Android 4.0 OS on the Samsung Galaxy Nexus and is said to be working for a solution on this. 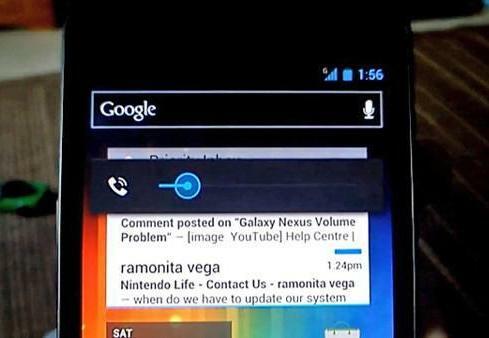 There is no confirmation as to why this issue has popped up, but SlashGear suggests that the technical reasons behind the bug is the way that the Galaxy Nexus handles certain 2G GSM bands as the volume problem has only been observed when the smartphone is connected to the 900MHz band. Frequencies or software issues, we want a bug-free OS, and Google should not be sloppy again.